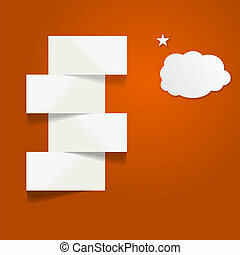 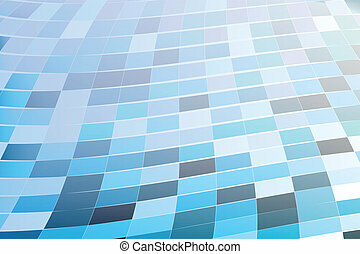 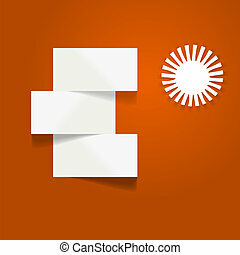 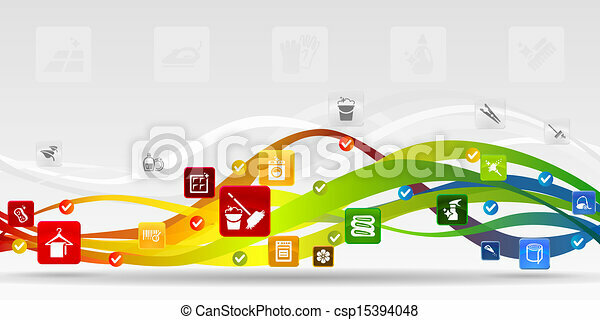 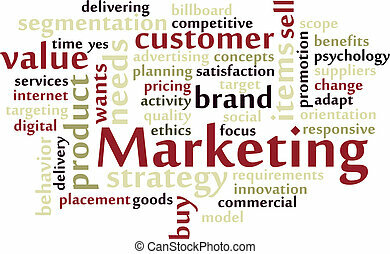 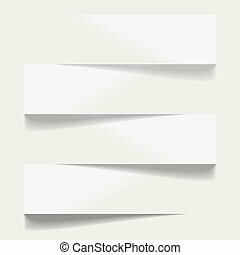 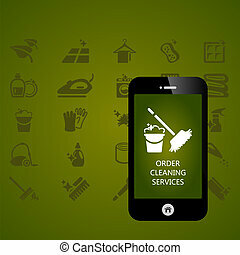 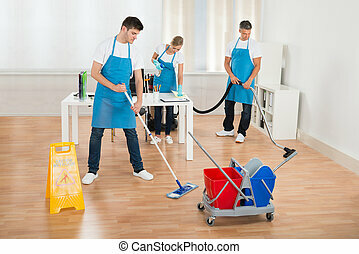 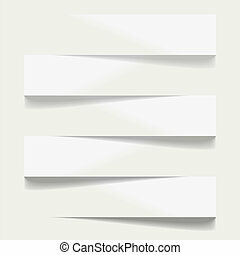 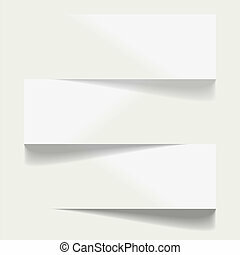 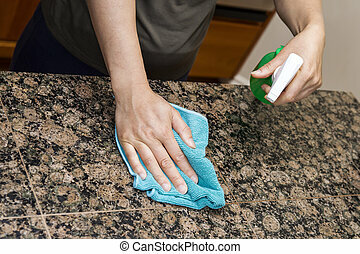 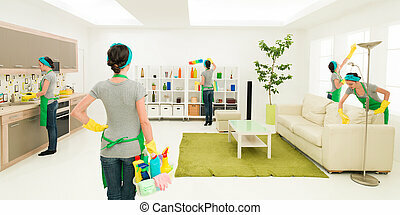 Cleaning mobile applications vector abstract background. 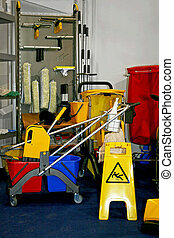 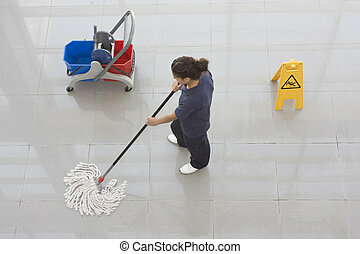 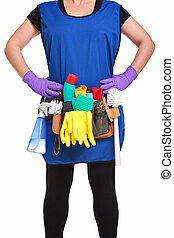 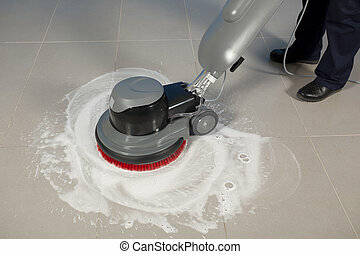 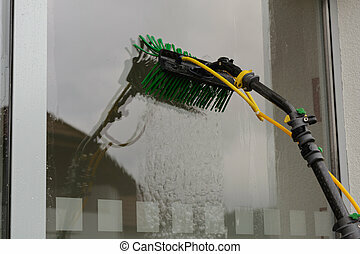 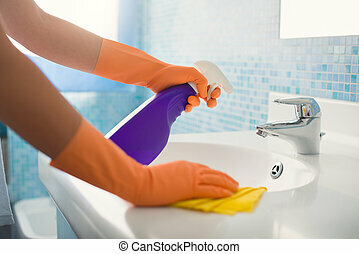 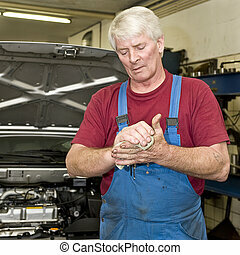 Photo of a cleaner wearing a tool belt full of cleaning equipment isolated on a white background. 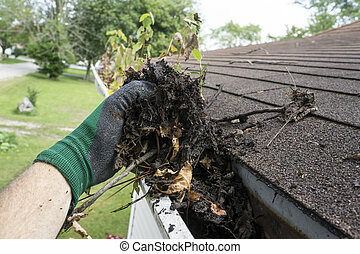 Worker cleaning gutters for a customer.